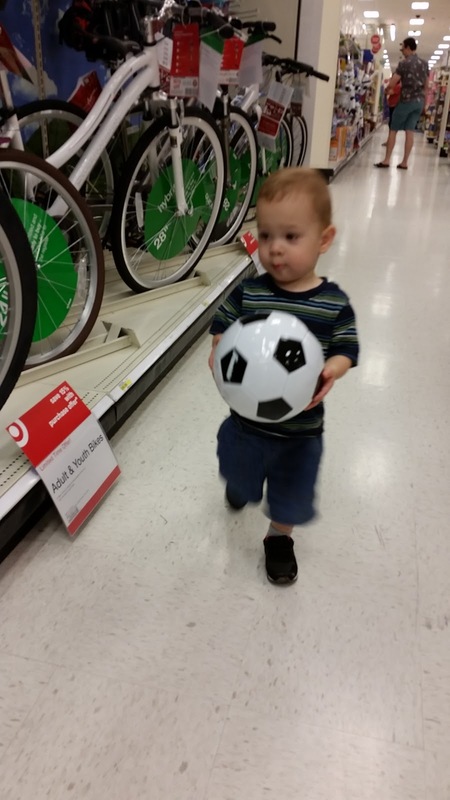 While we were at Target Quinn picked up this ball and carried it all over the store. He was even pretty good about me putting it back when we were getting ready to leave. Lately he's been having meltdowns when he can't have what he wants but today he fussed only a little.